The first true three row BMW is available for pre-order now at Competition BMW of Smithtown. This full size 7 seater has a 3.0 liter turbocharged inline six gas engine, that generates 320 HP and 330 lb-ft of torque. Power is mated to an eight speed automatic transmission that has been improved to shift faster and use less fuel. HOW MUCH DOES THE BMW X7 COST? The new X7 SUV is expected to be priced above the BMW X6, which ranges from $63,045 to $78,695. An MSRP range of around $70,000 to $90,000 is the initial expectation based on the preliminary specification and is subject to change as the release is announced. The X7 is among the most profitable vehicle segments of the market. While BMW is entering the big-SUV market in the U.S. late it may account for 40-50 percent of the brand’s global sales. 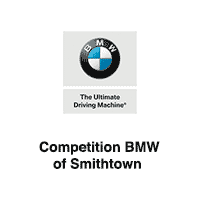 Contact Competition BMW of Smithtown for more details on current lease specials and finance offers. WHEN DOES THE BMW X7 COME OUT? The new X7 is scheduled to be released in US dealership showrooms sometime in early 2019. The X7 is being built beside the new X5 and shares the platform with the smaller BMW SUV, and possibly the powertrains as well. Both vehicles will be built in the United States. The entirety of the X7’s interior looks rich. The latest version of BMW’s iDrive software is on hand, as is the company’s new digital gauge cluster. On the outside, the X7 looks nearly identical to the concept version, with enormous kidney grilles up front and a squared-off greenhouse in the rear that seems purpose-built to maximize third-row headroom. There’s seating for either six or seven, with generous knee room in the third row for a couple of adults. The middle row offers a choice of a three-seat bench or a pair of captain’s chairs, both of which offer 5.7 inches of power-assisted fore-aft travel. Here at Competition BMW of Smithtown, we ensure our customers are taken care from the moment you step foot into our showroom! Our dedicated sales team will work with you the entire car buying process and answer any questions you have along the way. We want to make sure you leave our dealership feeling confident with your choice, so let us help you make the right one! We welcome you to stop by for a test-drive or call one of our sales associates today at 631-265-2208.